Are there additional items not included in our package price? Staff gratuities (on average 10-20%) of the “lodging” portion of the bill. Alcohol and sodas (not provided by the Ranch). Band or DJ (optional). The Ranch does provide a PA system for music if you chose not to have a band and opt to bring in playlists on your device. Shuttle services from McCall or Riggins ID to transport guests to the boat ramp (optional). Most have their guests bring their own vehicles, rentals or carpool to the boat launch. Vehicles are safe here. Additional round trips/pickups with the jet boat to transport guests (or supplies) arriving or departing at different times from the scheduled jet boat trips included in the wedding package price. This would range from $300-$575 one way depending on load size. Tyically, most weddings will have 1 additional (one way) trips to get flowers and alcohol into the ranch prior to the event. Idaho Fishing License, if your guests choose to fish. Cash for gifts/souvenirs from our Mackay Bar Gift Shop (optional). Officiant – Typically, bride and groom are married by one of their guests who are ordained (Ordination can be obtained online at no cost). Can I bring my own wine, beer or champagne, and is there a corkage fee if I do? You can bring all of your own alcohol to the Ranch. There is no corkage fee. Depending on quantities, we may have to boat the booze/drinks up prior to the event. Additional round trips/pickups with the jet boat to transport guests, gear, drinks, flowers, etc arriving or departing at different times from the scheduled jet boat trips is not included in the wedding package price. This would range from $300-$575 one way, depending on load size. Most weddings have only one additional (one way) boat trip to get all alcohol up to the ranch. Can I hire my own vendors (ie., DJ, Photographer, etc)? Yes, you can hire your own vendors. Mackay Bar Ranch does provide a list of vendors we have worked with in the past. Once you book with us, let us know if you would like to use one of our recommended vendors. Can we have a beach bonfire? Depending on weather conditions and time of the year, a beach bonfire can be an option! Due to fire restrictions, bonfires are typically not offered from mid July through September. Does Mackay Bar provide flowers? Mackay Bar Ranch is alive with a natural beauty created by the scenic hillside terrain, the manicured lawn, and colorful flower beds. We would encourage you to bring your own bouquets for the wedding however, the natural landscape may be all you need. 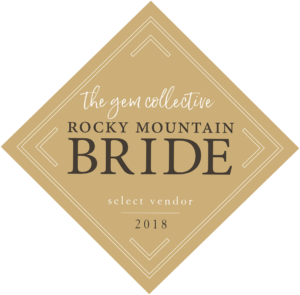 Typically, our brides will chose to have bridal arrangements created by a local florist (LeAnn’s Flower Shop & Garden Center in Grangeville ID or South Fork Flowers from the Hettinger Ranch) and can be picked up/brought in by us the day prior to guests arriving. If you would like to purchase additional loose flowers from the florist, Mackay Bar Ranch does provide vases, so table arrangements can be assembled at the Ranch. How do guests get to the boat ramp and what time do they get picked up by the jetboats at Vinegar Creek Boat Ramp? Two boats will be available to pick up your guests at Vinegar Creek Boat Ramp (26 miles East of Riggins, ID). It will take your guests 1 hour to travel the 1/2 paved, 1/2 dirtroad from Riggins to Vinegar Creek Boat Ramp. We can direct you to local shuttle services to transport your guests from McCall or Riggins, ID if you would prefer them to travel in a group vs. traveling in their own vehicles. (Or a combination of both!). There is plenty of safe parking for your guests to leave their own (or rental cars) at Vinegar Creek Boat Ramp. This scheduling of the boats will be arranged during the planning process. Both boats will begin to pick up guests any time after 12pm Mountain time. We recommend your guests stop in Riggins, ID for a quick sandwich or snacks, as well as fishing license (if they would like one)! It will take 1 hour on the boats to get from Vinegar Creek (once the boats are loaded) to the Ranch! Is internet available or phone service at Mackay Bar Ranch? There is no internet available to guests, so unplug and relax! Mackay Bar Ranch does have a wifi phone that can be used (minimally) if needed. Is there a weight limit for luggage on the boat? We HIGHLY encourage your guests to pack as light as possible for the safety of all passengers on the boats. Please limit all guests bags to 1 each. The jetboats pick us up at Vinegar Creek . . . how do we get there? Most guests come from Boise, ID via vehicle or a shuttle van to Vinegar Creek Boat Ramp. Vinegar Creek Boat Ramp is located 26 miles East of Riggins ID. The journey from Riggins (at Hwy 95) to Vinegar Creek, takes 1 hour along the scenic Salmon River Road! Mackay Bar encourages our guests to pre-plan. Life flight can be purchased (we do have landing strip right at the Ranch that can be used for emergencies). Trip Insurance is also highly recommended. Once at the ranch, your guests friends/family can email or call the ranch phone to get in touch with a guest. What Are Our Meal Options? Please visit our Meals page for your menu options. All meals are prepared by the Mackay Bar Ranch private staff, using seasonal ingredients. Mackay Bar Ranch will work closely with you to ensure the Wedding menu items will be sufficient for the number of nights you are at the Ranch, as well as, the number of guests in your party! Please note that the meals will be served “buffet” style for your guests to enjoy. What does a typical Mackay Bar Ranch wedding itinerary look like? Please refer to our sample wedding weekend itinerary . What kind of activities can be enjoyed by our guests while at Mackay Bar Ranch? Fishing (spin fishing equipment and bait is supplied by the ranch). Idaho Fishing License must be purchased by your guests prior to arriving at the Ranch. What lodging is included in our package price? What major airport would our guests fly into? We would recommend guests fly into one of the 3 larger airports in one of the following locations. Boise, ID – Approx 210 miles South via US 95 to Vinegar Creek. Lewiston, ID – Approx 140 miles North via US 95 to Vinegar Creek. (Lewiston Airport is a smaller regional airport served by Delta). Spokane, WA – Approx 245 miles North via US 95 to Vinegar Creek. What should my guests bring for the jetboat trip into the Ranch? Bottled water or other beverages, and snacks for the trip! What types of amenities are offered in the Ranch’s lodging for our guests? Continuous power (power is supplied by generator or hydro so it can be limited at times). Flushing toilets and private bathrooms in all Rooms and Cabins as well as the Lodge. Soaps, shampoos, towels, lotion, conditioner, sheets and bedding. Tent campers would need to bring tents, cots (if desired), sleeping bags, towels and soaps. Two outdoor private showers and two lodge bathrooms are provided for tent campers. We also have an outhouse in the same vicinity as the tent camping area. Where will my wedding ceremony take place? You can choose between the beach, yard (several areas), as well as the boat to say your “I dos”. This can be decided prior to, or once you arrive at the Ranch. Will Mackay Bar Ranch cater to dietary requests? Part of this experience is our primitive dinners and meals. We unfortunately do not cater to dietary concerns, but do offer plenty of food portions (hors d’oeuvres, salad, homemade breads, meats, fresh greens, and dessert). Your guests will not go hungry! If there is a severe medical dietary concern, please let us know in advance, we will adjust our menu accordingly to address the issue. Will Mackay Bar Ranch provide a cake for our Wedding event? Mackay Bar Ranch does provide a small, simple wedding cake (provided by a local wedding cake artist). Your guests will enjoy cupcakes OR cake balls. Or, you may choose handmade seasonal pies that can be substituted for an additional cost.